I hardly ever write about trademark things from other countries, including the Mother Country. But this UK story seemed like a good trademarks / brand equity / life-comes-at-you-fast object lesson notwithstanding its foreign provenance. Luxury car company Bentley Motors has started to extend its brand into new product areas – but it has come across a pretty big hurdle from the onset. . . . The car company recently decided to invest more in accessories and clothing, much like Ferrari, Lamborghini and Aston Martin. However, the attempt made it realise that the Bentley name is not necessarily available for use and registration in all categories – and it’s all because a clothing store in Manchester is using its name. And it has a trademark for it. Created in 1962, father-and-son business Bentley Clothing has been entangled in a battle with the luxury brand since before it decided to dabble in apparel. Of course, Bentley Motors launched the store into a trademark battle, claiming the products were too alike and that it was merely trading on the car manufacturer’s reputation. However, according to WIPR, the court has ruled against its appeal to cancel Bentley Clothing’s trademark, suggesting that when one sells clothes and the other cars, there’s not much in the way of confusing the two. Here’s the complete BENTLEY 1962 decision dated March 17, 2017. What are the lessons from this “trademark tragedy”? One is obvious. One is a little more nuanced. The third is actually completely hidden by almost all the online coverage of this dispute, and I’ll save it till the end. The obvious lesson is just how hard it is to succeed at belated attempts to shift into reverse and recapture — especially by force — exclusive rights in trademarks that are not guarded and preserved diligently. The possibilities of trademark and brand licensing (or should I say, “licencing”) were appreciated by only uniquely prescient geniuses until just about very recently. It’s a good guess that, rather than being diligent brand police with future vision, no one happened to start selling Aston Martin cravats and ascots in the ’60’s. The brand was relatively pristine as an object of exploitation in the dawn of this, the Age of Licensing. This is usually not a terrible business strategy. Only been in the last decade has the fundamental question — how much effort and money is appropriate to expend on protecting an asset whose future value is not capable of being anticipated in the present? — been applied to trademarks. And, more than ever, that question is so complicated it continues to boggle the minds of businesspersons and thereby to make them soft. According to Bentley Motors’ trademark opposition, which was filed in September 2015, the goods asserted within Bentley Clothing’s trademark application were “confusingly similar” to an array of goods in which it maintained trademark rights at the time. Specifically, the automaker cited a number of trademark registrations that it was awarded prior to the filing of Bentley Clothing’s application for the “Bentley” name that covers an array of goods, including bags and jewelry, among others. Moreover, Bentley Motors argued that while it does not have a specific registration for garments, it has used the “Bentley” mark in connection with garments and accessories since 1920. Unpersuaded by Bentley Motors’ argument that it maintains rights in the “Bentley” trademark in connection with garments, UK IPO trademark hearing officer George W. Salthouse held that the company did not produce sufficient evidence to support its asserts. In fact, Salthouse stated in his decision that Bentley Motors failed to provide any evidence of use of the “Bentley” name in connection with garments and the sale of garments. Founded in 1962 as a golf apparel company and recently revived by a father and son team, Bentley Clothing employs under ten people and sells its wares in just a few stores in England. And we’re not talking about some successful high-end brand—they’ve struggled to find their footing in the marketplace as the battle drags on. It all started when they re-registered for their trademark in 2008, just three years after Bentley Motors launched their own clothing line. BM must have been pretty peeved, because they immediately filed papers accusing the clothing company of benefiting from its own luxury image and demanded they stop. . . . So, then, it’s true that registration is what punctuates this legal conflict. But in fact use, not registration, is where the action ultimately is in trademarks, no matter how famous your mark gets; indeed, the more famous it gets, as is this case demonstrates, the more a firm hand on the legal necessities of use is required — or else. The use question is going to get more interesting, too, because Bentley Motors is still using the mark to sell Bentley’s clothing, notwithstanding the rights of Bentley Clothing. It’s hard to imagine the purveyors of incredibly elite motor vehicles lowering themselves to bring in some pounds sterling by hawking tchochkes with their prestigious names on them. Such merchandising would probably have been viewed as a tarnishment of they own brands that could dispel the aura of super-exclusivity around them. This latter claim is accurate, according to the LIKELIHOOD OF CONFUSION® Accura-Chek™ system. Indeed, I couldn’t find Bentley Clothing even by looking for it — a mystery that was cleared up when I noticed that, according to Evening Standard story, which, again, uses the name Bentley 192, the fight between these two companies actually stretches back 13 years. It was only when I searched for “Bentley 1962” — a combination of words and numbers that is curiously absent from virtually all the coverage about a decision concerning the trademark BENTLEY 1962 — that I came upon this piece in FashionUnited that tells a story that is almost entirely ignored in the Goliath-friendly coverage of this dispute in IP press. What I learned when I sought to resolve that mystery brings us to the third lesson: The huge spin advantage big players have in the IP and fashion press, ever-eager to attract and please big-player advertisers, influencers and party-inviters. 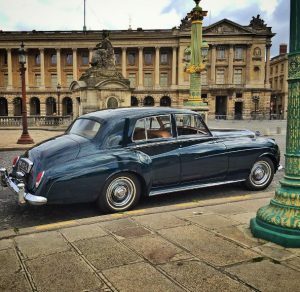 Although the trademark lessons discussed above are valid as far as they go, the truth is that in the dispute between Bentley Motors and Bentley 1962, pretty much everything you think know is wrong if you relied on most of the sources I have linked to. According to Christopher Lees, who acquired Bentley from its founder Gerald Bentley together with his father Bob in 1991, their clothing brand holds the registered ‘Bentley’ trademarks for clothing in the UK and has ever since the brand was founded in 1962. Bentley Motors, owned by Volkswagen, launched its own clothing collection in 2005, which has led to an ongoing dispute as to over the name and trademark for ‘Bentley.’ Now Bentley Motors has applied to have the sportswear inspired clothing brand’s registered trademarks cancelled, as it seeks to expanded its clothing arm. “Despite knowing that, and that my brand was active, Bentley Motors began to market clothing in a way that clearly infringed my trademarks,” explained Lees to FashionUnited. He stressed that the motoring company went as far to attach ticketing to their apparel in the UK which seemed to claim ownership of the registered trademark, which has led to much confusion and doubt among companies as to who had ownership of the trademark. Although Lees has repeatedly tried to resolve Bentley Motors infringements, he admits that taking legal action would be too costly for a small company like Bentley Clothing. According to Lees, Bentley Motors has strung him and Bentley Clothing alone for years, requesting proposals and then rejecting them, stating they “do not wish to encroach on any valid rights.” At the same time, Bentley Motors has reportedly continued to infringe on Bentley Clothing trademark in the UK by channeling their clothing sales through eBay UK. 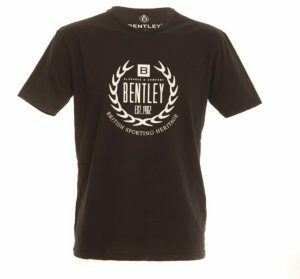 In order to help differentiate the two brands, Lees applied to register the trademark ‘Bentley 1962’ for clothing in the UK. However, Bentley Motors opposed the application, arguing that trademark would led the public into believing 1962 was a special year in their history. Damned straight it’s a different story. You don’t have to credit Christopher Lees’s version of it to see that, though much of what he says is supported in the March 2017 decision. But wouldn’t you want to know it? Because this is a story, by all indications, about trademark bullying by Bentley Motors. That, however, is one in which the obsequious “fashion IP” bar has very little interest. Ok but is it really trademark bullying? Frankly, it’s hard to see how it’s not. Well what if the 1962 launch of Bentley Clothing was an attempt to benefit from the goodwill of the Bentley Motors product? Mr Lees states that the BENTLEY clothing brand was established in 1962 by the applicant’s predecessor in title. The original founder was, apparently, a Mr Gerald Bentley. No information is given about the predecessor in title, whether it was another company, or was just a business ran by Mr Bentley. Indeed, it is not even clear if the predecessor in title was Mr Bentley (or a company of his). Nor is it stated when the applicant acquired the brand or whether the goodwill was acquired as part of any deal. Nevertheless, Mr Lees states that in consequence of all this, the brand has been used for over 50 year[s] . . .
You will not read these facts in coverage of this dispute. In most of the stories, you will not see the actual trademark that was the subject of the registration, BENTLEY 1962, even mentioned. Nor do these facts really matter. Because first of all, in 1962 and, as I have said, for a long time afterward, it was well understood that trademarks protected what you made and sold, period. I am not knowledgeable about UK trademark law, but imagine that its “progress” more or less tracks that of the U.S. which only in 1980’s gave birth to Big Brands and the licensing business. This occurred by virtue of two changes. One critical change was the expansion of the definition of a trademark from a source indicator to almost a right in gross encompassing almost anything by embracing a standard that made it infringement to cause a LIKELIHOOD OF CONFUSION as to “affiliation or sponsorship.” The second was the enactment of the federal anti-dilution statute, which essentially did award a right in gross to big brands by removing even the tenuous “affiliation or sponsorship” requirement if you were, well, a BENTLEY of a brand. Just for being you! These changes took place decades after Bentley Clothing started selling golf shirts, not luxury cars. 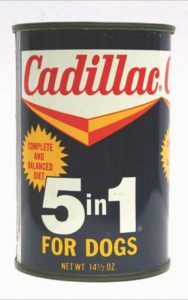 The acquiescence is one thing, but more important is the mentality: Even if Gerald Bentley never existed, naming your company after a famous manufacturer of something unconnected to what you do — Google “Cadillac” some time — was a common practice at the time and entirely lawful. Moreover, as I said above, 1962 was a time when carmakers made cars, not brands. That’s why we can’t, and shouldn’t, tritely shake our fingers at Bentley Motors for not being more on the brand-enforcement ball before even LIKELIHOOD OF CONFUSION® was born. On the other hand, we can shake ’em and bake ’em for trying to flip that reality on its head and to impute bad faith, an attempt to pass off, infringement or what-have-you to Bentley Clothing here, when, for the same exact reason, it did not consider the existence of a make of uber-luxury automobile to be a consideration in choosing what to name its line of golf shirts. And we can do the same to “fashion and IP” journalists, as well as the business press, who have ignored the real BENTLEY trademark “tragedy” for reasons they understand well. 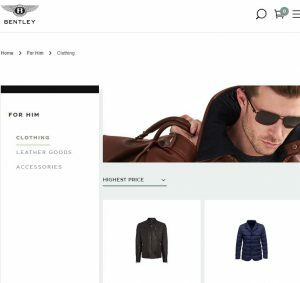 UPDATE: Bentley Motors Loses Trademark Battle With Bentley Clothing. But now, what’s all this then?! When Armani wanted to register it’s domain name when the internet became available, to their horror, they couldn’t because an Indian migrant to Canada by the name of A. R. Mani had registered the dot com address. They took him to court and lost. I suppose they must have paid a lot for him to surrender. In a Malaysian case a South Indian restaurant named McCurry was sued by McDonald’s. They lost.